Modular Storage Systems Brisbane have just completed a Pallet Racking Work Bench project for a client that moved from the Gold Coast to Brisbane. Our team dismantled some Pallet Racking for the client in Burleigh Heads on the Gold Coast. Due to their business expansion, they required a bigger Warehouse that was also closer to Brisbane. 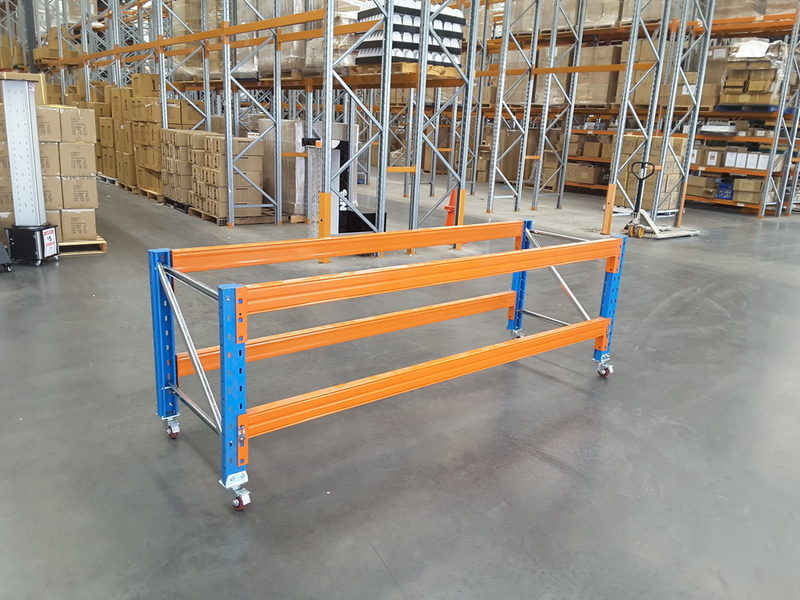 They successfully leased a large distribution facility in Yatala that already had a large amount of Australian Standard compliant Pallet Racking installed throughout. The client required eighteen mobile workbenches and one static work bench at the new Warehouse. Rather than purchase new materials, our team suggested modifying the Pallet Racking we dismantled in Burleigh Heads on the Gold Coast to build the work benches. Each Work Bench in the Yatala warehouse measured 2791mmL x 838mmD x 935mmH. All four castors on each work bench were lockable ensuring they were nice and steady when being worked on. Our team successfully completed the required work on schedule and at less than half the price of the same workbenches if purchased new. The client and their Warehouse staff have been happy with our Mobile Work bench solution and have reported increased productivity when picking and packing orders. You can create a range of different storage solutions with your old or Second Hand Pallet Racking. It is worth taking the time to discuss your ideas with our Brisbane team - We are always happy to help out where we can and point you in the right direction. Contact Chris on 0402685512 or chris@modularstorage.com.au if you have any questions or ideas.